Gretchen West has served the unmanned systems and drone industry over a decade and is an industry-leading advocate for commercial drones. Her most recent work was as San Francisco start-up DroneDeploy’s Vice President of Business Development and Regulatory Affairs. Previously, Ms. West served as AUVSI’s Executive Vice President, overseeing AUVSI’s government relations and advocacy efforts for the unmanned systems industry. Ms. West and her team at AUVSI were at the forefront of advocating for the safe, timely and responsible integration of unmanned aerial systems (UAS) into the National Airspace System and her work in this area continues today with DroneDeploy. She also served as the AUVSI member on the International Civil Aviation Organization (ICAO) UAS Study Group, which is tasked with creating a roadmap for the global integration of UAS. Among her other AUVSI responsibilities, Ms. West oversaw the association’s global business development initiatives and international growth strategy. 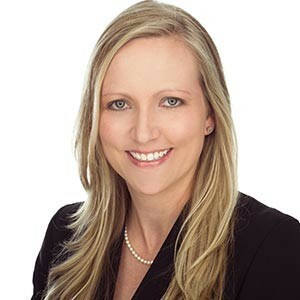 Prior to joining AUVSI, Ms. West held various consulting positions at APCO Worldwide, Ernst & Young and Smith, Bucklin and Associates, an association management firm. Ms. West currently serves on the Advisory Boards for Skyward, Nightingale Intelligent Systems and AeroCine and is on the advisory board for the Drone World Expo. She was formerly a member of Women in Aerospace (WIA) and the Association for Women Executives and Entrepreneurs (AWE). Ms. West has an MBA from the George Washington University and a BA in leadership studies from the University of Richmond.